Instagram has just started rolling out a new update that allows users to save their live videos to their phones at the end of a broadcast. Previously, live videos just disappear from the app after ending it without an opportunity for users to go back to a record of what just happened. 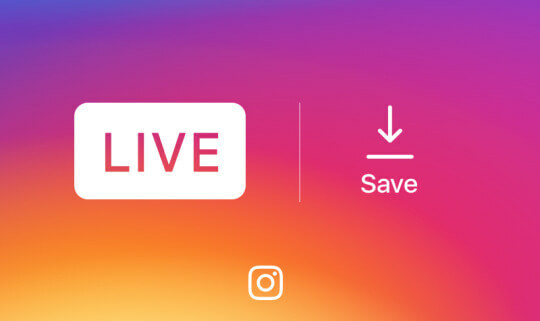 Thanks to Instagram's latest update, users can now have the option to save live videos after a broadcast and re-watch it later. The live video would still disappear from the app when it's done, but users will now get a chance to have a copy of it on their phones. To take advantage of this new update, simply tap the Save button in the upper right corner of the app at the end of the live broadcast. Take note, though, that only the video will be saved and not the comments, likes, number of viewers, or any live interactions. After saving, tap Done, and then you'll see the live video on your phone's camera roll but not in the app. These updates are considered part of the Instagram version 10.12 that is available for iOS on the App Store and Google Play.